I figured that I would close each month with a summary of how things are going with the Sew Your Kibbe Challenge. Personally, I’ve been gone most of the month for an important skating conference and competition, so I’ve really missed out on sewing time. 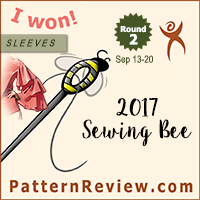 (It’s the reason I knew I wouldn’t be able to participate in the Pattern Review Sewing Bee this year as well.) At the conference I was focused on learning as much as I could, as well as passing an extremely challenging exam, and competition days are always long and trying, so, despite best intentions, very little progress was made on the Kibbe Challenge during travel. I will say that I’m working right now to finalize my plans, so I can jump into making things as soon as I’ve fallen back into a regular routine. But I also know that I have a very busy schedule the first half of the year, so I expect my sewing for this challenge will be intermittent at best. There was a reason I only set myself a goal of 12 garments this year! So, on a personal level, I’m still in the planning stages of this challenge, but I hope to be moving on to the sewing stages soon. The #sewyourkibbe has a few posts on Instagram! Dramatic: Naomi at Spare Room Style has embraced being a Dramatic and is creating some really fabulous things! Soft Dramatic: Mary at Idle Fancy has mused about why the Kibbe system strikes a chord with her and even planned a winter wardrobe before I kicked off the Kibbe Challenge! Natural: Sew Ruthie has jumped into sewing for her Kibbe Natural lines. She’s already gone gangbusters, producing tops, pants, a coat, and a jacket. 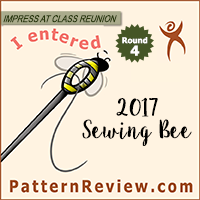 Plus, she’s working on a SWAP and participating in the PR Sewing Bee! Crazy! If you haven’t already, you should definitely check out her blog. Soft Natural: Sewing is My Happy Place is planning on doing a Kibbe Soft Natural Make Nine this year. Check out her plans here! She’s also made her first garment, and discusses how this fits in with the Soft Natural recommendations in this post. Classic: Bobbins, Bikes, and Blades is jumping into the Kibbe challenge! She’s already made a pair of trousers as well! Flamboyant Gamine: Gillian at Crafting a Rainbow was one of the first (that I was aware of) who took the whole Kibbe thing and ran with it. Due to an unfortunate accident, she hasn’t been sewing much lately, but now she’s back and looks like she will have lots of great inspiration for the Flamboyant Gamines in the audience! Theatrical Romantic: Cyphgirl’s Random Musings discuses her plans for how to construct a Theatrical Romantic wardrobe in this post. Romantic/Soft Classic: Kate Sews Things is working through her Kibbe type in this post, but discusses her general approach to Sew Your Kibbe Challenge in this post as well. Her blog looks pretty new, but her writing is fabulous, and I’m really excited to see what else she comes up with during the year! If I’ve missed your posts or you would like to be included in my future Kibbe round up posts, please feel free to leave a link in the comments! Vogue 9367, Burda 6346, and Burda Easy 6A/B. All of these have really long, clean lines and would make great additions to a Dramatic wardrobe. Vogue 1617, Vogue 9363, and Vogue 9368. All of these have soft, draping fabrics but also have large, exaggerated shapes that are handled so well by Soft Dramatics. Vogue 1619, Vogue 1621, and Burda 6312. All of these have the long, simple lines that work so well for a Flamboyant Natural, but also have a sense of ease and movement about them as well. Vogue 1620, Vogue 9366, and Burda 6318. All of these have the easy, draping movement that you would expect to find in a Natural wardrobe. Burda 6324, Vogue 1616, and Burda Easy #5A/B. All of these have the drape and slight waist emphasis that Kibbe calls for in his Soft Natural recommendations. Vogue 1615, Vogue 9355, and Burda 6321. Some really nice options for Dramatic Classics, all have the clean, Classic lines, but with an added hint of sharpness to bring out the Dramatic undercurrent. Burda 6320, My Image M1904 (dress, though many of their pants and other patterns would work as well), and BurdaStyle 02-2019-116. Lots of clean, crisp lines in these patterns, all great for a Classic wardrobe. Vogue 9357, Burda 6319, and BurdaStyle 02-2019-107. Classic lines, with just a bit of softness added in. BurdaStyle 02-2019-114, BurdaStyle 02-2019-109, and Burda 6332. Lots of different levels of dress represented here. The jacket and trousers would make a super cute Flamboyant Gamine work outfit, but the color blocked top could be a nice casual piece for a Flamboyant Gamine wardrobe. Burda 6327, Burda 6330, and Burda Easy #4B. The blouse has a nice close fit and fun detailing. In 6330, the longer tunic with color blocking creates a fun dropped waist effect (the other view with the tie is not really very Gamine), and the pink coat has a lot of Gamine elements as well. Vogue 1613, Burda 6343, and Burda 6338. All of these have close fits at the cuffs and collars, with some added softness to other parts of the design. Just enough detail to keep it Soft Gamine, but also a nice mix of soft and sharp elements. Burda 6334, Vogue 9355, and Vogue 1616. It hasn’t been a strong month for Theatrical Romantic patterns… as you can see I’ve overlapped these choices a bit with some of the other categories. I do think the peplum jacket from Burda would be a cute addition to a Theatrical Romantic wardrobe, and I’m sure a Theatrical Romantic would look smashing in any of the gowns that have been released, but there haven’t been many recent options that would work for more casual looks for this category. Vogue 1612, Burda 6342, and Burda 6332. All of these have the silhouettes that Kibbe recommends for a Romantic, and the Vogue pattern has plenty of ruffle detailing as well. And that’s it! If you’ve found any other great Kibbe related content to share or have any updates on your own Sew Your Kibbe challenges please feel free to drop a line in the comments! Wow you’ve got a lot going on. I’m so glad you’re still posting updates to keep the rest of us inspired! My plans for January were just to fill out my navy capsule with a skirt and a cardigan. The skirt worked out great, both classic and casual, but the cardigan bit the dust for various reasons. I decided to add a button up shirt (so classic!) in a plaid that will work with all my colors. Now I have to shut down the sewing room for some time while we do some home repairs so it’s possible I may go insane. But I look forward to checking out all the sites you linked and seeing what you come up with when you get back to sewing. This was so exciting to see! I’m knee deep in theater both memorizing and sewing until early March but I can’t wait to dive into your I inspiration. O love that your picking patterns for each category. I’m waffling on which category is really me still. Love your post! LOVE looking at these patterns – very inspiring to read these posts! Definitely going to check out some of those youtube links too. The more I look at that cocktail dress up top, the more I wish I could sew it… Think I’ll try sewing a dress from the January issue though. An “easy” pattern, with (I think) a Dramatic silhouette. Looking forward to see what you’re sewing next! My sewing plans should be coming up this week. I think I’ve settled on what I want to make, I just need to get a post up about it! What a great idea to pick a top three for each Kibbe category from the new releases. I’d have put the Paco Peralta Vogue pattern into Dramatic rather than Flamboyant Natural myself but that’s because I really want to sew that one. Also thanks for the list of blog links – some new to me ones there! I think Dramatic and Flamboyant Natural have a lot of overlap so it makes a lot of sense that some patterns would work well for both types. You should totally sew it! I wish I had more sewing time! I’m part way through the next pair of trousers on my list and still loving all your Kibbe posts..